For many Palestinians, when they think about their heritage, they think about their ancient agricultural land. Vivien Sansour, who grew up in Beit Jala, only knew how collected she was to her historical agriculture when she went abroad to study in America. She began to miss the fruits and vegetables of home. But when she returned, many of them were gone. “All of the things I missed when I was gone were also gone. I thought: Where are our heirloom cauliflower?” She went searching for purple carrots, and when she found only two she decided to plant them for seed. 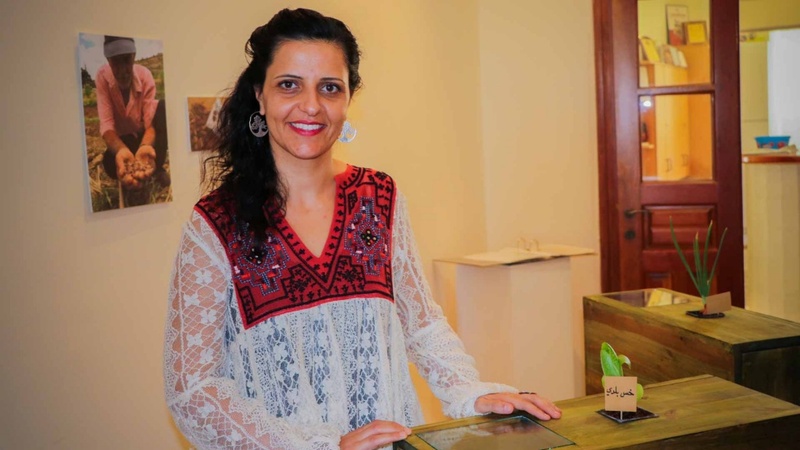 Today she has founded The Palestine Seed Library, a seed library that allows Palestinian farmers to take seeds of endangered fruits and vegetables and plant them, provided they return new seeds at the end of the season. She also works with farmers, teachers, and students in writing down seed stories, collecting oral history related to the land. She calls her work “agri-culture.” “The Seed Library is about loving ourselves again and who we are,” she says.